I got this recipe from my friend P who in turn got it from her nanny. I tasted saag paneer for the first time at her place and it was so yum. 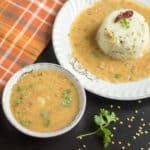 When she gave me the recipe I was surprised to notice that this recipe doesn’t use any dry masalas. 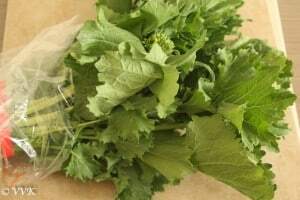 The mustard greens are slightly pungent but when it is combined with cabbage and spinach it gets balanced and the taste is unique. 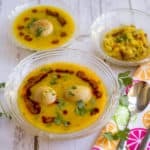 I followed my friend’s recipe and didn’t use any dry masalas. It’s a simple recipe. Pressure cook the greens and veggies, puree them and simmer it. 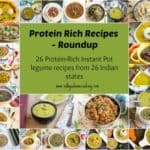 Add paneer and that’s it. You are done. 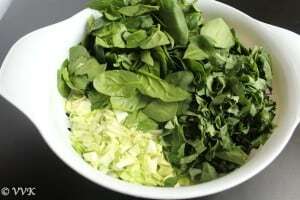 Finely chop the cabbage, spinach and mustard greens. Add finely chopped green chillies, garlic and ginger to the finely chopped greens and cabbage. 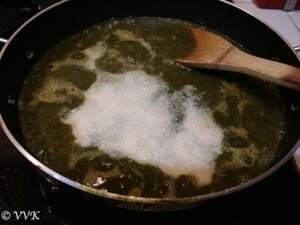 Blend this mixture into a coarse puree. Heat the kadai and add oil. Once the oil is hot you can add the cumin seeds. 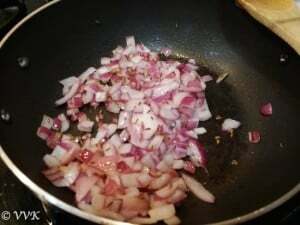 As they start to splutter add the finely chopped onion. Once they turn translucent, add the puree and mix well. Add salt and the corn meal. Let it simmer for about 7-10 minutes. Finally add paneer. Mix well and let it simmer for couple more minutes. That’s it. 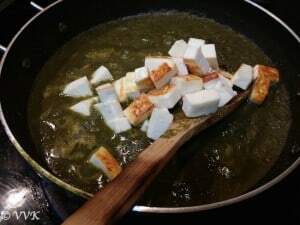 Saag paneer is ready. This goes well with Makki ki roti. I used white corn meal (I used it for dusting pizza too) for both roti and this saag. 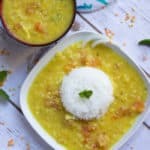 You can use yellow meal too. Along with cabbage you can also add broccoli or cauliflower florets. The addition of these veggies is to balance the pungent nature of the mustard greens. 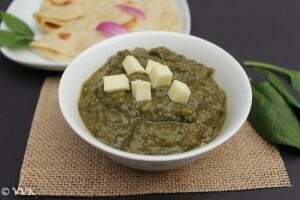 A popular Punjabi side for Makki ki Roti prepared with Mustard Greens, Cabbage and regular spinach and paneer but without any dry masalas. Yummy looking one Vidhya. The other day my son was asking for this dish. 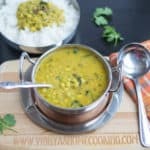 Now that i have the recipe shall try soon..
Mustard greens is one leafy vegetable no one wants at home, now i can sneak in with spinach to make this beautiful saag, good one Vidhya! Thanks a lot Mullai. With spinach and cabbage the pungent tasteis comparatively less. 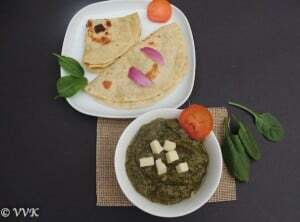 ha ha ha.. thanks :-) So you like saag? 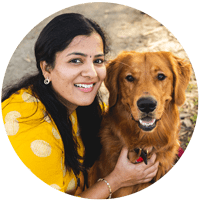 Thanks Bhumi and Welcome here. 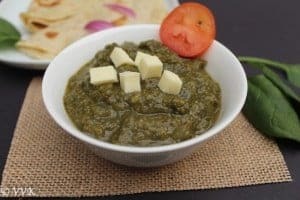 I love saag paneer. Thanks for the recipe.